What is Purpose of AGMARK and FSSAI ? Food Safety Food Safety and Standards Act, 2006 - What is Purpose of AGMARK and FSSAI ? It is very important to know what is purpose of both AGMARK and FSSAI. Food Safety Food Safety and Standards Act, 2006 has been enacted to consolidate the laws relating to food and to establish the Food Safety and Standards Authority of India for laying down science-based standards for articles of food and to regulate their manufacture, storage, distribution, sale and import, to ensure availability of safe and wholesome food for human consumption and for matters connected therewith or incidental thereto whereas AGMARK is a certification mark employed on agricultural products in India, assuring that they conform to a set of standards approved by the Directorate of Marketing and Inspection, an attached Office of the Department of Agriculture, Cooperation and Farmers Welfare under Ministry of Agriculture & Farmers Welfare which an agency of the Government of India. As reiterated above Food Safety and Standards Authority of India (FSSAI) has been established aiming at to exercise powers granted to, and to perform functions assigned to it under Food Safety and Standards Act. It is called the Food Authority. It is pertinent to mention here that AGMARK is a certification mark, which is given to agricultural products to conform to the Agriculture Products Act, 1986, whereas FSSAI (Food Standard and Safety Authority of India) is an agency or a division of the Ministry of Health & Family welfare. AGMARK is thus employed on agricultural products for assurance of quality of product, which is the supervising agency. The Directorate of Marketing & Inspection, Government of India acts as a Certifying Agency in order to certify the product conformity. On the other hand, FSSAI helps to regulate and it also supervises functioning of food businesses in India and in order to monitor and to promote public health. It is, therefore, mandatory for all food business operators, distributors, retailers and the storage houses to get an FSSAI Licence. AGMARK was, however, established under Agriculture Produce (Grading and marking) Act of India, 1937 while FSSAI has been established under the Food Safety and Standard Act, 2006. Section 2 of Act of 2006 has declared that it is expedient in the public interest that the Union should take under its control the food industry. Clause (j) of Section 3 (1) of Act of 2006 says that "food" means any substance, whether processed, partially processed or unprocessed, which is intended for human consumption and includes primary food to the extent defined in clause (zk) of Section 3 (1) of the Act of 2006, genetically modified or engineered food or food containing such ingredients, infant food, packaged drinking water, alcoholic drink, chewing gum, and any substance, including water used into the food during its manufacture, preparation or treatment but does not include any animal feed, live animals unless they are prepared or processed for placing on the market for human consumption, plants prior to harvesting, drugs and medicinal products, cosmetics, narcotic or psychotropic substances. It also provides that Central Government can declare any other article as food for purposes of the Act of 2006 having regard to its use, nature, substance or quality. Insofar as Clause (zk) is concerns it envisages that “primary food” means an article of food, being a produce of agriculture or horticulture or animal husbandry and dairying or aquaculture in its natural form, resulting from the growing, raising, cultivation, picking, harvesting, collection or catching in the hands of a person other than a farmer or fisherman. It may not be out of place to mention here that initially in India, every product was governed by an Act, which was specially formed for that particular product, viz. Vegetable Oil Products Order 1947, Milk Products Order 1992, etc., but it caused a lot of hassles for authorities governing them because of continuous changing environment in our Country. However, with the enactment of Food Safety and Standards Act, 2006, all the previous acts for food products were consolidated and brought under one roof. Thus, FSSAI is an independent authority created in 2008 under the Act of 2006, with an aim to regulate quality and safety of food business in India. Its primary objective is to certify or to provide for a base covering all food items and also ensure that food items are safe for consumption. 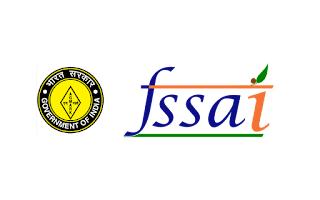 FSSAI certification acts as a checkpoint or an acid test, as it examines whether food product abides by food standards as prescribed by Ministry of Health & Family Welfare. Contract Law - Power of Judicial Review - Matters relating to tenders or award of contracts - Special Features. When power of judicial review is invoked in matters relating to tenders or award of contracts, certain special features are to be borne in mind. A contract is a commercial transaction. Evaluating tenders and awarding contracts are essential commercial functions. Principles of equity and natural justice stay at a distance. If the decision relating to award of contract is a bona fide and is in public interest, courts will not, in exercise of power of judicial review, interfere even if a procedural aberration or error in assessment or prejudice to a tenderer, is made out. The power of judicial review will not be permitted to be invoked to protect private interest at the cost of public interest or to decide contractual disputes. Same is true about present case. Decisions on the contract are made qualitatively by experts. High Court cannot ordinarily interfere with the judgement of the expert consultant on the issues of technical qualifications of a bidder when the consultant takes into consideration various factors including the basis of non-performance of the bidder. It is not even open to the court to independently evaluate the technical bids and financial bids of the parties as an appellate authority for coming to its conclusion. It is held by the Supreme Court in Municipal Corporation v. BVG India Ltd. (supra) that the authority concerned is in the best position to find out the best person or the best quotation depending on the work to be entrusted under the contract. It is now well settled that the court does not have the expertise to correct the administrative action. If a review of administrative decision is permitted, it will be substituting its own decision, without the necessary expertise which itself may be fallible and quashing decisions may impose heavy administrative burden on the administration and lead to increased and unbudgeted expenditure. Reference in this regard is made to Sterling Computers Ltd v. M&N Publication Ltd (1993) 1 SCC 445; Tata Cellular v. Union of India (1994) 6 SCC 651; Raunaq International Ltd v. I.V.R. Construction Ltd. (1999) 1 SCC 492. The State can choose its own method to arrive at a decision. It can fix its terms of invitation to tender and that is not open to judicial scrutiny. It can enter into negotiations before finally deciding to accept one of the offers made to it. It is free to grant any relaxation, for bona fide reasons, if the tender conditions permit such a relaxation. It may not accept the offer even though it appears to be highest or the lowest. Even when some defect is found in the decision-making process the court should always keep the larger public interest in mind in order to decide whether its intervention is called for or not. [See: Air India Ltd. v. Cochin International Airport Ltd., (2000) 2 SCC 617; B.S.N. Joshi & Sons Ltd v. Nair Coal Services Ltd. (2006) 11 SCC 548; and Master Marine Services (P) Ltd. v. Metcalfe & Hodgkinson (P) Ltd (2005) 6 SCC 138]. For Petitioner(s): Mr Jahangir Iqbal Ganai, Sr. Advocate with Mr Umar Farooq, Adv. c) Writ of mandamus, commanding respondents to consider and allot contracts for supply of nutrition item Mustard Oil with Vitamin A and D for ICDS Projects of Jammu Division and Kashmir Division, as put to tender vide E-NIT no.10 of 2018 dated 13th August 2018 for Jammu Division and E-Nit no.11 of 2018 dated 13th August 2018 for Kashmir Division, in favour of petitioners 1&2 respectively. 2. Respondents 1&2 have filed their Reply. They aver that Mission Directorate ICDS, J&K, had invited e-tenders for procurement of mustard oil fortified with Vitamin A&D for both divisions of Jammu and Kashmir. E-tender was loaded on J&K tender portal and published in newspaper for wider publicity. After following timeline mentioned in tender, State Level Purchase Committee opened technical bids online in respect of bidders, who were found eligible and thereafter opened financial bids of firms/ suppliers/ bidders, who qualified technical bid as per technical evaluation and accordingly financial bids of firms were opened to ascertain L-1 Firm. After finalization of process on opening financial bids, State Mission Directorate, ICDS, received interim direction passed by this Court on 28th August 2018. It is insisted that that respondent no.5 emerged as L-1 for Kashmir and L-2 for Jammu. However, this Court has directed that issue of fortification of SSI Unit shall not be acted upon. Respondents maintain that primary requirement for bidding item, mustard oil, should be fortified with Vitamin A&D and since this Court has directed respondents not to act on impugned communication dated 14th August 2018, no decision could be taken by State Level Purchase Committee for finalisation of rates/bidder. 3. Respondent no.5 has filed Reply in opposition to writ petition. Respondent insists that it is a Small-Scale Enterprise (Manufacturing) at Lane no.6, SIDCO Industrial Complex, Bari Brahmana, Jammu, which deals in extraction of mustard oil and oil cakes from mustard oil seeds, besides being registered with District Industries Centre, certified by ISO, GST, Sales Tax, FSSAI. It is also averred that petitioner has been declared as technically qualified bidder having possessed a valid AGMARK Grade-1, no.000869 dated 29th January 2009, issued under the provisions of Agricultural Produce (Grading and Marking) Act, 1937 by Government of India, Ministry of Rural Development, Directorate of Marketing and Inspection and a valid fortification certificate issued by competent authority under the provisions of FSSAI Act. It is claimed that in terms of Food Safety Act of 2006 and Rules and Regulations made thereunder, fortification-licence can be issued by the Centre of State authorities whereas respondent no.5 has been issued a licence by Central Authorities under the Food Safety Act, 2006 and therefore, consideration and declaration of respondent no.5 by Tender Evaluation Committee is independent to letter dated 14th August 2018. Respondent no.5 also contends that though petitioners, being suppliers/ traders, procure material from a manufacturer from Rajasthan, they have not shown or brought on record AGMARK Grade-1 Certificate nor Fortification Licence of manufacturer from Rajasthan, which would show their eligibility to participate and qualify essential tender conditions. It is contended that petitioners have tried their best to canvas the point that AGMARK Grade-1 as well as Fortification Licence have to be issued by Authorities under the provisions of Agriculture Produce (Grade and Marking) Act, 1937 (AGMARK) and Vegetable Oils Grading and Marking Rules, 1955, alone and that there is no other competent authority to issue Fortification Licence, whereas fact of the matter is that respondent no.5 has a valid AGMARK Grade-1 Certificate as well as Fortification Licence for fortification of mustard oil with Vitamin A & D. Respondent avows that Director, ICDS, J&K, had vide letter dated 1st August 2018 sought an opinion of Commissioner, Food Safety, J&K, with regard to manufacturing / producing of fortified mustard oil, to which Commissioner, Food Safety, J&K, vide order dated 9th August 2018, had constituted a Team for inspection of unit of respondent no.5, so as to determine as to whether respondent no.5 had basic infrastructure required for manufacturing of fortified mustard oil and whether respondent no.5 was manufacturing fortified mustard oil from January 2018, besides having a valid FSSAI Licence, issued by Central Licencing Authority. Based upon report of committee, Assistant Commissioner Food (Hqrs) vide impugned communication dated 14th August 2018, is said to have clarified and certified that unit of respondent no.5 possesses basic infrastructure required for manufacturing of fortified mustard oil in the unit and was also manufacturing fortified mustard oil from January 2018. It is maintained that only after seeking clarification, official respondents have opened technical bid on 27th August 2018 and found respondent no.5 qualified. As a consequence, financial bids had been opened on 30th August 2018, in which respondent no.5 has been found lowest bidder (L-1) for Jammu Division in E-NIT bearing no.10 of 2018. It is claimed that prior to passing of interim order dated 28th August 2018, all bidders had submitted technical bids, including respondent no.5, which had been accepted on 27th August 2018, inasmuch as there had been no direction in the petition filed by petitioners whereby technical/financial bids are not be opened or allotment to lowest bidder is restrained. Yet, official respondents, who have concluded tendering process, are unable to allot work-orders, though there is no restraint imposed by this Court in allotting contract in favour of respondent no.5, being lowest successful bidder. Respondent no.5 urges that respondent, amongst other bidders, is lowest and therefore entitled to procurement of work order and even if rates quoted by other bidders, namely, Wani Brothers (petitioner no.1) is taken into consideration, yet respondent no.5, being local registered SSI Unit, is entitled to a price preference of 20% as per Industrial Policy and Circular no.IND/Legal/160/2018 dated 22nd May 2018. 4. Respondent no.5 has also insisted in its reply that earlier also official respondents had issued tendering process for supply of similar products, in which official respondents wrongly rejected technical bid of respondent no.5 on the pretext that respondent did not possess valid licence/permission for fortification of oil with Vitamin A&D. It is claimed that since respondent no.5 was/is possessed of a valid licence for fortification issued by competent authority, i.e. FSSAI, respondent no.5 challenged rejection order before this Court at Jammu Wing in a writ petition, diarised and registered as OWP no.1556/2018, which came to be listed on 14th August 2018 and official respondents produced a copy of Re-Tender bearing E-NIT no.10 of 2018 and E-NIT no.11 of 2018 dated 13th August 2018. In view of this development, respondent no.5 was permitted to withdrew writ petition and respondents were asked that in the event petitioner participated in fresh tender process, fortification certificate issued by competent authority would be considered if the same would be required for tendering process. Respondent no.5 also maintains that prior to withdrawal of earlier tender notice, official respondents had initiated an inquiry process to ascertain as to whether respondent no.5 had been possessed of a valid fortification licence issued by competent authority. Official respondents though rejected technical bid of respondent no.5 on the ground that respondent did not possess a valid licence for fortification of oil from competent authority, yet official respondents sought clarification from FSSAI inasmuch as official respondents also sought information regarding permission / licence of respondent no.5 for fortification of oil from Commissioner, Food Safety. Official respondents are said to have addressed a communication to Commissioner, Food Safety, on 1st August 2018, requesting him to intimate specifically whether respondent no.5 was manufacturing/ producing fortified Mustard Oil/Soya Refined Oil. Commissioner, Food Safety, is stated to have vide letter dated 9th August 2018 constituted four-member committee to conduct inspection of unit of respondent no.5 and directed the team, so constituted, to submit its report within two days. On 14th August 2018, Assistant Commissioner, Food, vide letter no.DFO / FSSA /JK/222/1235-36, addressed to official respondents, submitted factual position and clarified that the team conducted inspection of Unit on 11th August 2018. 5. Respondent no.5 also maintains in its Reply that petitioners have no locus to challenge inter departmental communication / inquiry, which is independent to E-NIT no.10 & 11 of 2018 dated 13th August 2018. It is averred that consideration of bid of respondent no.5 is independent to letter dated 14th August 2018 and is rather based upon fulfilment of necessary tender conditions. It is also averred that in e-procurement system, three bidders whose financial bids were opened are (i) M/s Wani Brothers (petitioner); (ii) Gokul Agri International Limited; and (iii) New Kissan Milk Foods (respondent no.5) and respondent no.5 and M/s Gokul Agri International emerged as L-1 and L-2 respectively. Respondent no.5 also claims that although rates quoted by petitioner is lesser than the rates quoted by respondent no.5, yet that is of no consequence for the reason that petitioner is a trader/supplier whereas respondent no.5 is a registered local SSI Unit and is, thus, entitled to price preference of 20% on lowest rate quoted by bidder. It is vehemently contended by respondent that petitioners have tried to profess the point that AGMARK Grade 1 and Fortification Licence have to be issued only by authorities under provisions of AGMARK Act, which is not only incorrect but false as well. The requirement of Agmark Grade-1 certificate as also Fortification Licence are duly complied with by respondent no.5 inasmuch as respondent no.5 has valid Agmark Grade-1 Certificate under the provisions of AGMARK Act and Fortification Licence for fortification of mustard oil with Vitamin A&D, is issued by Central Licensing Authorities under FSSAI Act of 2006. 6. I have heard learned counsel for parties and considered the matter. 7. Learned senior counsel appearing on behalf of petitioners, to cement the case set up by petitioners, has vehemently argued that tender documents provide for AGMARK Grade-1 specification as per Vegetable Oil Grading and Marking Rules, 1955 and Certificate of Authorisation means a certificate issued under the General Grading and Marking Rules, 1988. He refers to Rule 2(b) of the Rules of 1988 to contend that “Agmark Grading” means as grading of an article in accordance with the grade standards prescribed under the provisions of the Act and rule 2(i) defines the “Approved Laboratory” as Laboratory approved by competent authority for testing of an article for Agmark grading. After referring to various provisions of Agmark Act and Rules, learned senior counsel states that it is respondent no.3, who possesses the power to issue the certificate of authorisation and that no authorised packer has been permitted to grade and mark fortified Mustard Oil/Soya refined Oil under Agmark in the State of J&K. In this regard learned senior counsel has invited attention of this Court to communication dated 20th July 2018 (Annexure L to writ petition). His next submission is that the certificate, of which mention has been made in terms of impugned communication dated 14th August 2018, has reference to a Certificate issued under Section 31 of the Act. The said Certificate, according to learned senior counsel, is not a replacement for a “Certificate of Authorisation” as mandated in terms of Rules of 1955 read with Rules of 1988 and therefore impugned communication is mala fide in nature and has been issued by respondent no.4, so as to ensure that without possessing “Certificate of Authorisation” as provided in terms of Rules of 1955, read with Rules of 1988, respondent no.5 is in a position to avail benefit of an SSI Unit. He also contends that respondents 2&4 have to act fairly and a decision taken in the matter of allotment of the tendered item, is to be decided by application of Wednesbury principle of reasonableness and the right of consideration of an eligible tenderer should not be affected by any bias or activated with mala fides. By getting report from respondent no.2, prior to issuance of tender document, is indicative of the fact that entire process if not fair and has an element of mala fides attached thereto. He insists that in the matters pertaining to allotment of contracts, the interference by the Court is permissible if the process adopted or the decision made by the authority is mala fide or intended to favour someone. The process initiated by respondent no.2, prior to issuance of tender document, which has resulted in issuance of impugned communication dated 14th August 2018, on the face of it, is indicative of the fact that the process is mala fide in nature and is intended to favour respondent no.5 and that in case respondent no.5 is allowed to participate in the process by taking recourse to communication, the price bid of respondent no.5 would be considered as an SSI Unit and thereto he will be entitled to price preference of 15% and therefore will steal a march over the price bid of petitioners inasmuch as considering case of respondent no.5 as an SSI Unit would not be in public interest. 8. Per contra, learned counsel for respondent no.5 states that respondent no.5 is possessed of an AGMARK Grade-1 Certificate issued under the provisions of AGMARK Act and separate Fortification Licence issued by competent Central Authority under the provisions of FSSAI Act of 2006 read with Fortification of Food Regulations, 2008 inasmuch as the concerned department i.e. FSSAI through its Deputy Director, replied to respondent no.5 and also to Designated Officer Incharge (Assistant Food Controller) District Samba that the unit of respondent no.5 is duly registered and can fortify the Mustard Oil. His further assertion is that petitioners have no locus to challenge communication dated 14th August 2018. He also states that there is an inherent limitation in seeking judicial review of the decision of the experts particularly in the tender evaluation process and that petitioners have not been able to project any illegality or arbitrariness in the tender evaluation process. In support of his submissions, learned counsel has placed reliance on Jagdish Mandal v. State of Orissa and others (2007) 14 SCC 517; and Municipal Corporation, Ujjain and another v. BVG India Limited and others, (2018) 5 SCC 462. 9. Impugned communication bearing no.DFO/FSSA/JK/222/ 1235-36 dated 14th August 2018, has been issued by Assistant Commissioner Food (HQ), Commissionerate of Food Safety, in pursuance of the communication no.SMD/ICDS/2018/ 1307475 dated 1st August 2018, issued by Mission Director, ICDS, J&K. The impugned letter says that in reference to the communication of Mission Director, ICDS, J&K, a team of officers/officials of Commissionerate of Food Safety was constituted to conduct an inspection of M/s New Kissan Milk Foods, SIDCO Industries Complex, Bari Brahmana, Jammu, for obtaining factual position. The said team, as is discernible from impugned communication, had conducted inspection of the unit on 11th August 2018 and submitted its report with the opinion that the manufacturer, namely M/s New Kissan Milk Foods, has basic infrastructure required for manufacturing of fortified Mustard Oil in place and the said manufacturing unit is manufacturing fortified Mustard Oil from January, 2018, besides having a valid FSSAI licence for the purpose issued by Central Licensing Authority. Learned senior counsel for petitioner has during course of advancement of arguments invited attention of this Court to a communication dated 20th July 2018 (Annexure L to writ petition) to contend that all what has been done in terms of impugned communication is to given undue benefit to respondent no.5. 10. The foundation of the case of petitioners revolves around the communication dated 20th July 2018 (Annexure L to writ petition), addressed by Senior Marketing Officer of Directorate of Marketing & Inspection, Department of Agriculture Coop. & Farmers Welfare, Ministry of Agriculture, Government of India, 61-A Extension 2nd, Gandhi Nagar, Jammu Tawi, to State Mission Director, ICDS, Srinagar; perusal whereof reveals that “as on date, no authorized packer has been permitted to grade and mark fortified mustard oil/soya refined oil under Agmark in the State of Jammu and Kashmir.” To this, learned counsel for respondent no.5 has invited attention of this Court to Certificate of Authorisation, issued by Directorate of Marketing and Inspection, Ministry of Rural Development, Government of India, under the provisions of the Agricultural Produce (Grading & Marking) Act, 1937, in favour of respondent no.5. Learned counsel for respondent no.5, to rebut submissions of learned senior counsel for petitioners, has stated that AGMARK Grade-1 pertains only to grading, i.e. quality of produce and that AGMARK authorities are competent only to deal with or to grant licence for quality and grading, whereas the Fortification relates to increasing the content of essential micronutrients in a food, so as to improve nutritional quality of food and to provide public health benefit with minimal risk of health. After taking this Court to various provisions of FSSAI Act, learned counsel for respondent no.5 has invited attention of this Court to List of authorised Food Manufactures under FSSAI (Annexure R11 to Reply of respondent no.5). Respondent no.5 figures at serial no.71 amongst the Food Fortification Resource Centres/Food Manufacturers. 11. Learned counsel for respondent no.5, has also invited attention of this Court to a communication dated 25th July 2018 (pp.69, 70 to Reply of respondent no.5), to contend that a Licence bearing NO.10012061000152 with validity up to 31st March 2022 for manufacturing of mustard oil and blended vegetable oil has been issued in favour of respondent no.5 by Food Safety & Standards Authority of India (FSSAI). He also contends and rightly so that primary difference between an AGMARK and FSSAI licence is that AGMARK is a certification while as FSSAI is a government agency and AGMARK is an inspection seal provided for quality of agricultural products whereas FSSAI Licensing covers every food item whether agricultural or non-agricultural. Not only it includes the Quality Standards of the Food Products but also covers all other activities, like manufacturing, storage, re-labelling, import or export, sales and safety of food items, inasmuch as two separate Acts govern FSSAI and AGMARK. FSSAI has been established under the Food Safety and Standard Act, 2006 whereas AGMARK is covered by the Agriculture Produce (Grading and Marking) Act of India, 1937. 12. It is very important to know what is purpose of both AGMARK and FSSAI. Food Safety Food Safety and Standards Act, 2006 has been enacted to consolidate the laws relating to food and to establish the Food Safety and Standards Authority of India for laying down science-based standards for articles of food and to regulate their manufacture, storage, distribution, sale and import, to ensure availability of safe and wholesome food for human consumption and for matters connected therewith or incidental thereto whereas AGMARK is a certification mark employed on agricultural products in India, assuring that they conform to a set of standards approved by the Directorate of Marketing and Inspection, an attached Office of the Department of Agriculture, Cooperation and Farmers Welfare under Ministry of Agriculture & Farmers Welfare which an agency of the Government of India. As reiterated above Food Safety and Standards Authority of India (FSSAI) has been established aiming at to exercise powers granted to, and to perform functions assigned to it under Food Safety and Standards Act. It is called the Food Authority. It is pertinent to mention here that AGMARK is a certification mark, which is given to agricultural products to conform to the Agriculture Products Act, 1986, whereas FSSAI (Food Standard and Safety Authority of India) is an agency or a division of the Ministry of Health & Family welfare. AGMARK is thus employed on agricultural products for assurance of quality of product, which is the supervising agency. The Directorate of Marketing & Inspection, Government of India acts as a Certifying Agency in order to certify the product conformity. On the other hand, FSSAI helps to regulate and it also supervises functioning of food businesses in India and in order to monitor and to promote public health. It is, therefore, mandatory for all food business operators, distributors, retailers and the storage houses to get an FSSAI Licence. AGMARK was, however, established under Agriculture Produce (Grading and marking) Act of India, 1937 while FSSAI has been established under the Food Safety and Standard Act, 2006. 13. Section 2 of Act of 2006 has declared that it is expedient in the public interest that the Union should take under its control the food industry. Clause (j) of Section 3 (1) of Act of 2006 says that "food" means any substance, whether processed, partially processed or unprocessed, which is intended for human consumption and includes primary food to the extent defined in clause (zk) of Section 3 (1) of the Act of 2006, genetically modified or engineered food or food containing such ingredients, infant food, packaged drinking water, alcoholic drink, chewing gum, and any substance, including water used into the food during its manufacture, preparation or treatment but does not include any animal feed, live animals unless they are prepared or processed for placing on the market for human consumption, plants prior to harvesting, drugs and medicinal products, cosmetics, narcotic or psychotropic substances. It also provides that Central Government can declare any other article as food for purposes of the Act of 2006 having regard to its use, nature, substance or quality. Insofar as Clause (zk) is concerns it envisages that “primary food” means an article of food, being a produce of agriculture or horticulture or animal husbandry and dairying or aquaculture in its natural form, resulting from the growing, raising, cultivation, picking, harvesting, collection or catching in the hands of a person other than a farmer or fisherman. 14. It may not be out of place to mention here that initially in India, every product was governed by an Act, which was specially formed for that particular product, viz. Vegetable Oil Products Order 1947, Milk Products Order 1992, etc., but it caused a lot of hassles for authorities governing them because of continuous changing environment in our Country. However, with the enactment of Food Safety and Standards Act, 2006, all the previous acts for food products were consolidated and brought under one roof. Thus, FSSAI is an independent authority created in 2008 under the Act of 2006, with an aim to regulate quality and safety of food business in India. Its primary objective is to certify or to provide for a base covering all food items and also ensure that food items are safe for consumption. 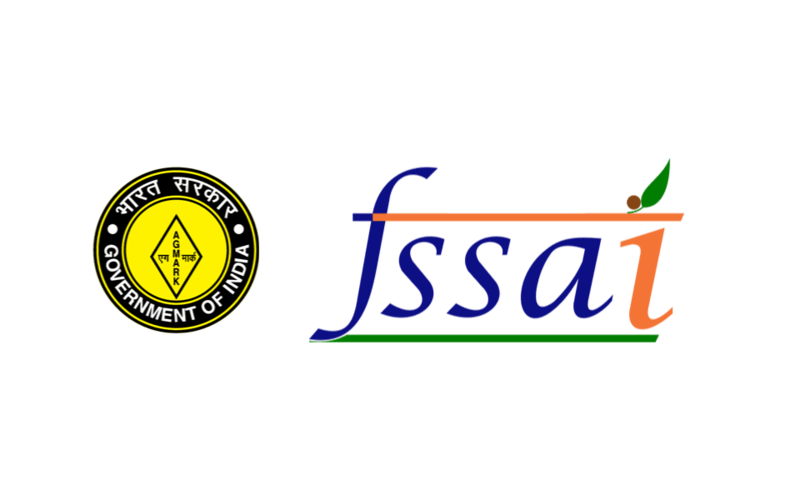 FSSAI certification acts as a checkpoint or an acid test, as it examines whether food product abides by food standards as prescribed by Ministry of Health & Family Welfare. 15. After above discourse, let us have a glimpse of Tender Notices bearing no.10 of 2018 and 11 of 2018 both dated 13th August 2018. The subject matter of item in present case is Mustard Oil (with Vitamin A and D). The specification shown against Mustard Oil is that it should be as per standards of Food Safety Act and should be Agmark Grade-1. Petitioners have placed on writ petition copies of GST Registration Certificate (Annexure A&B). Insofar as respondent no.5 is concerned, it has annexed with its Reply, copy of Acknowledgement (Annexure R1) issued by General Manager, District Industries Centre, Jammu, in favour respondent no.5 as Small-Scale Enterprise (Manufacturing) of mustard oil and mustard oil cakes from mustard oil seeds. Respondent no.5 has placed on record copy Trade Mark Licence issued by Registrar of Trademarks. Certificate of FSSAI has also been placed on record by respondent no.5. ISO Certificate has also been placed on record by respondent no.5. Certificate of Authorisation has also been placed on record, which has been issued by Ministry of Rural Development, Directorate of Marketing and Inspection under the provisions of Agricultural Produce (Grading and Marking) Act, 1937. Respondent no.5 is also registered as Food Manufacturer with FSSAI. 16. Whether petitioners, or for that matter respondent no.5, are fulfilling prerequisites fundamental in terms of Tender Notice(s) floated by respondent ICDS/ICPS, is required to be seen and looked into by respondent ICDS/ICPS. When power of judicial review is invoked in matters relating to tenders or award of contracts, certain special features are to be borne in mind. A contract is a commercial transaction. Evaluating tenders and awarding contracts are essential commercial functions. Principles of equity and natural justice stay at a distance. If the decision relating to award of contract is a bona fide and is in public interest, courts will not, in exercise of power of judicial review, interfere even if a procedural aberration or error in assessment or prejudice to a tenderer, is made out. The power of judicial review will not be permitted to be invoked to protect private interest at the cost of public interest or to decide contractual disputes. Same is true about present case. Decisions on the contract are made qualitatively by experts. High Court cannot ordinarily interfere with the judgement of the expert consultant on the issues of technical qualifications of a bidder when the consultant takes into consideration various factors including the basis of non-performance of the bidder. It is not even open to the court to independently evaluate the technical bids and financial bids of the parties as an appellate authority for coming to its conclusion. It is held by the Supreme Court in Municipal Corporation v. BVG India Ltd. (supra) that the authority concerned is in the best position to find out the best person or the best quotation depending on the work to be entrusted under the contract. It is now well settled that the court does not have the expertise to correct the administrative action. If a review of administrative decision is permitted, it will be substituting its own decision, without the necessary expertise which itself may be fallible and quashing decisions may impose heavy administrative burden on the administration and lead to increased and unbudgeted expenditure. Reference in this regard is made to Sterling Computers Ltd v. M&N Publication Ltd (1993) 1 SCC 445; Tata Cellular v. Union of India (1994) 6 SCC 651; Raunaq International Ltd v. I.V.R. Construction Ltd. (1999) 1 SCC 492. The State can choose its own method to arrive at a decision. It can fix its terms of invitation to tender and that is not open to judicial scrutiny. It can enter into negotiations before finally deciding to accept one of the offers made to it. It is free to grant any relaxation, for bona fide reasons, if the tender conditions permit such a relaxation. It may not accept the offer even though it appears to be highest or the lowest. Even when some defect is found in the decision-making process the court should always keep the larger public interest in mind in order to decide whether its intervention is called for or not. [See: Air India Ltd. v. Cochin International Airport Ltd., (2000) 2 SCC 617; B.S.N. Joshi & Sons Ltd v. Nair Coal Services Ltd. (2006) 11 SCC 548; and Master Marine Services (P) Ltd. v. Metcalfe & Hodgkinson (P) Ltd (2005) 6 SCC 138]. 17. In view of aforesaid discussion and legal position, writ petition is devoid of any merit and is accordingly, dismissed, with connected IA(s). Interim direction, if any, shall stand vacated.